In the world of books, there are book lovers and then there are book collectors. The former may love books and buy and display as many of them that will fit into their abode, but the book collector is a different entity. A book collector has particular favorite authors and favorite titles, and they desire as many different editions of those cherished reads as they can find. 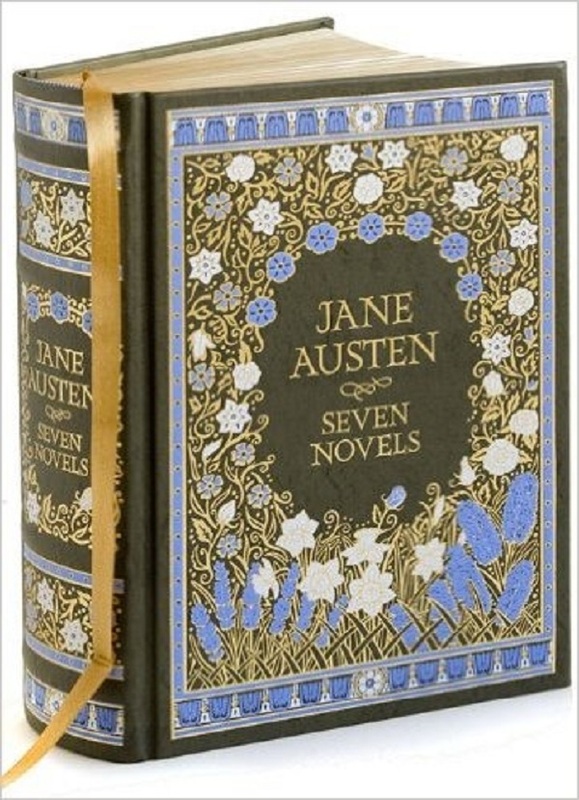 A stunning collection which includes Love and Friendship and Lady Susan, these clothbound books come in a range of colors and each volume has a different design. A very pretty acquisition for one’s shelf. Yes, it’s girly, but so cute, too. A collection for the more flamboyant Janeite collector. Good for particular fans of Emma perhaps. 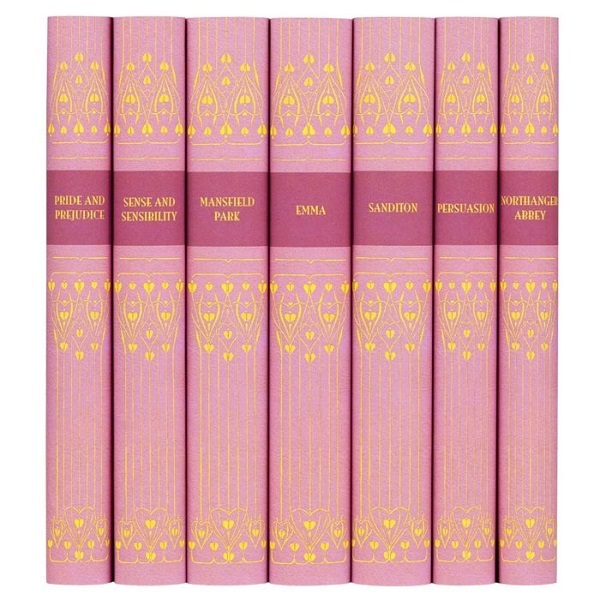 My favorite (reminiscent of Vintage’s paperback collection of Proust’s In Search of Lost Time), this is one that is needed to complete the full, intended effect on one’s shelf. 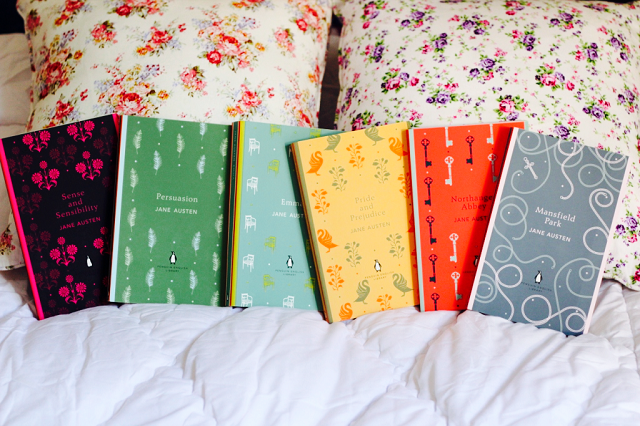 Northanger Abbey surely suits this idea perfectly. 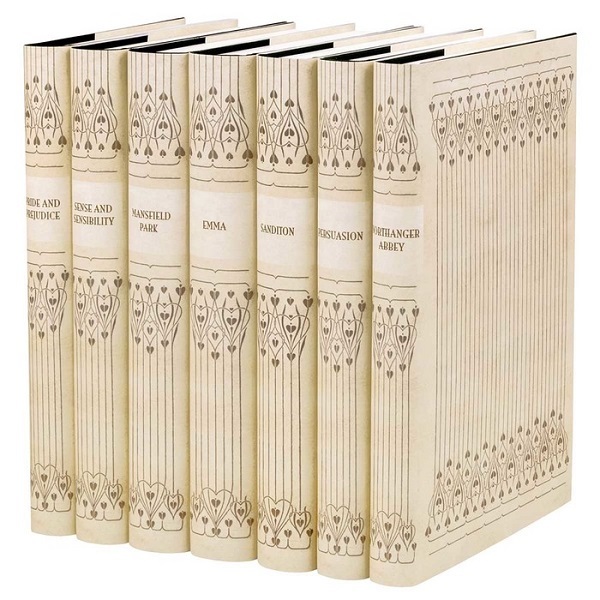 Finally, if you prefer your collection combined into a large (in this case, very large) specimen, then Barnes & Noble’s collected seven novels of Austen is the one to go for. 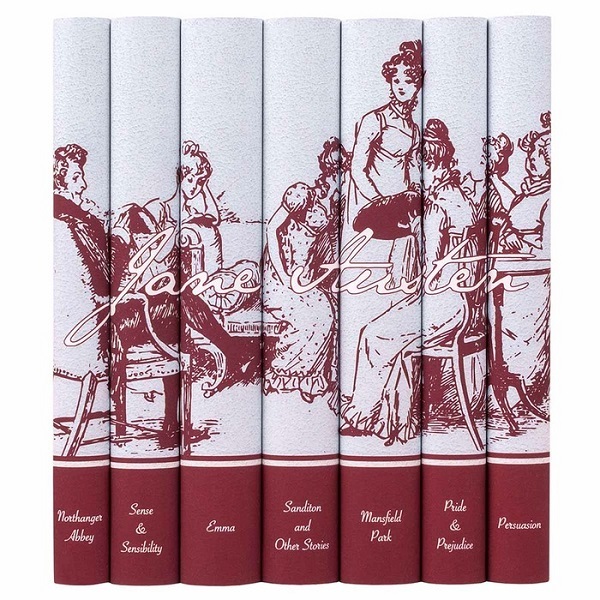 A leatherbound tome for those with an endless appetite for Austen. 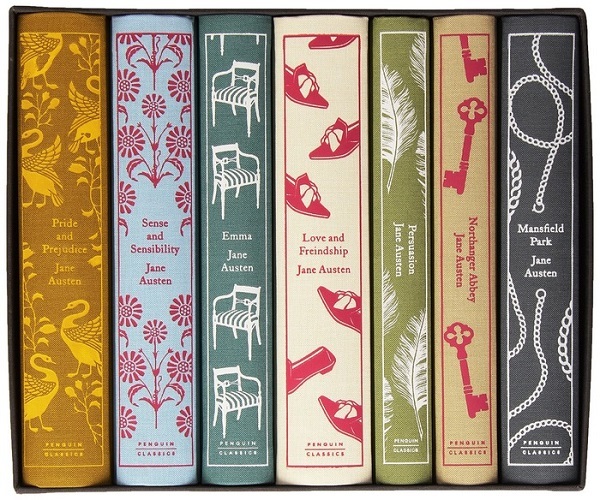 A perfect compliment to the shelf of any Pride and Prejudice admirer. 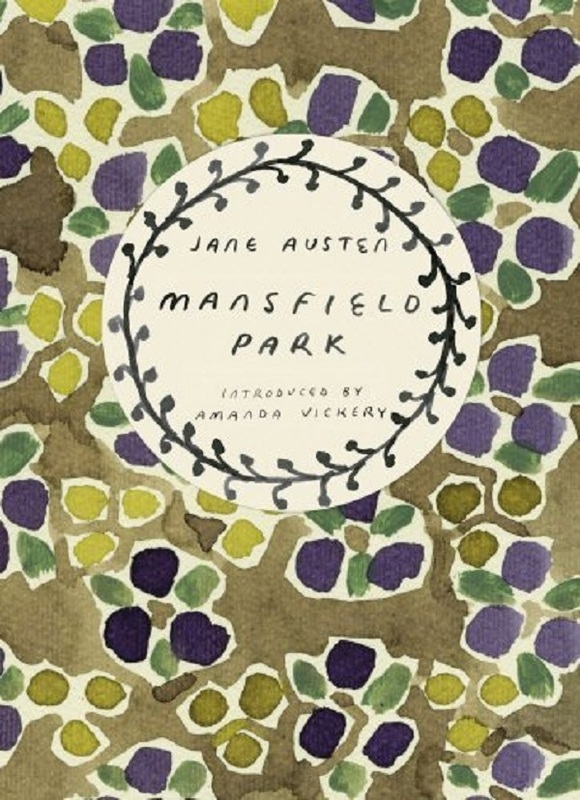 Do you know of other Austen collections for Janeites?